The spectre of global warming and the political panic surrounding it has triggered a goldrush for renewable energy sources without an open discussion of the merits and drawbacks of each. In The Wind Farm Scam Dr Etherington argues that in the case of wind power the latter far outweigh the former. Wind turbines cannot generate enough energy to reduce global CO2 levels to a meaningful degree; what’s more wind power is by nature intermittent and cannot generate a steady output, necessitating back-up coal and gas power plants that significantly negate the saving of greenhouse gas emissions. In addition to the inefficacy of wind power there are ecological drawbacks, including damage to habitats, wildlife and the far-from-insignificant aesthetic drawback of the assault upon natural beauty and the pristine landscape, which wind turbines entail. Dr Etherington argues that wind power has been, and is being, excessively financed at the cost of consumers who have not been consulted, nor informed that this effective subsidy is being paid from their bills to support an industry that cannot be cost efficient or, ultimately, favour the cause it purports to support. John Etherington was a Reader in Ecology at the University of Wales, Cardiff. Since his retirement from the University in 1990, he has devoted himself to researching the implications of intermittently available renewable electricity generation, in particular wind power. He is a Thomas Huxley Medallist at the Royal College of Science and a former co-editor of the International Journal of Ecology. Now available as well via Amazon U.K. and Amazon U.S. 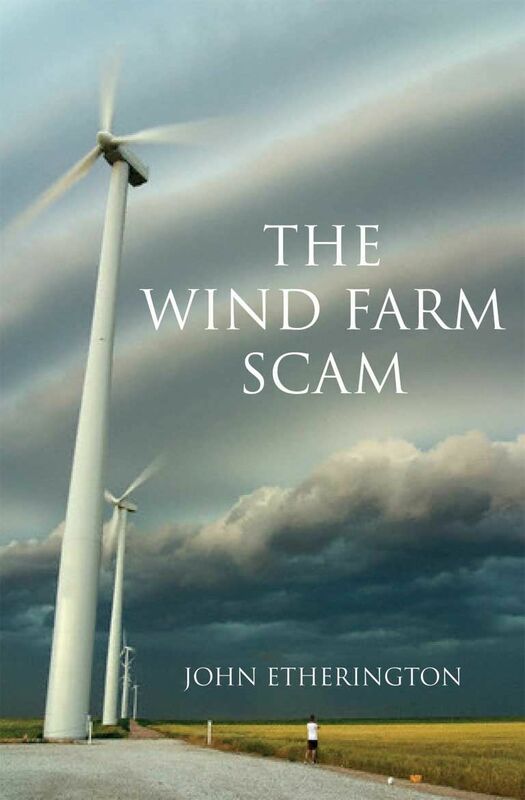 This book should be titled ‘The ‘Anti-Wind’ Scam. Nothing but a bunch of cherry-picked attacks without real facts. Conspiracy theories & nothing more. Some people are so ingrained in the lies of the eco-freaks that to them anything that disagrees with their world view is wrong, regardless of the facts. Yet these people never present hard data of their own to back up their myths.